UniPapers interview Sian to find out her favourite places to visit in the city, plus promotes student event with Accessorize. To celebrate the opening of Dirty Martini Birmingham Sian sips limited edition Peaky Blinders cocktails! Sian recommends a Biologique Recherche facial to get beautiful glowy skin before a special occasion. Sian graduates from Birmingham City University with a first class honours degree in Marketing, Advertising and Public Relations. Sian watched from the offices of the Bullring Shopping Centre as the iconic bull came to life, created by artist Josh Harker. East Village PR and Malmaison hotel in Birmingham host an evening of cocktail making, beauty treatments and delicious food for local press. To celebrate Mother's Day, Sian and her mom got to enjoy afternoon tea at Marco Pierre Whitehouse thanks to Tesco Gift experiences. Beyond Beauty Skin Clinic in Birmingham invited beauty bloggers to fizz and skin treatments. Birmingham beauty bloggers were invited by Popcorn PR to receive Panasonic hair styling at ITV live show at NEC. Bumble invite Sian to enjoy cocktails to promote a singles night at The Botanist in Birmingham. ibis invited Sian to their ibis lates event to help raise money for Teenage Cancer Trust and to promote local talent. Dluxe Magazine invite beauty bloggers to Birmingham's John Lewis store to watch a demo of the Dyson Supersonic and to celebrate 1 year since launch. Birmingham Coffee Festival invited Sian to try out independent coffee. In the run up to the event Sian hosted a competition for her followers to win tickets. Shopping in Birmingham invite Sian to the Big Beauty Weekender, to watch makeup tutorials from Kat Von D in Debenhams and Charlotte Tilbury. Birmingham food bloggers were invited to go behind the scenes at McDonald's to find out about all the new changes to the fast food resturant. 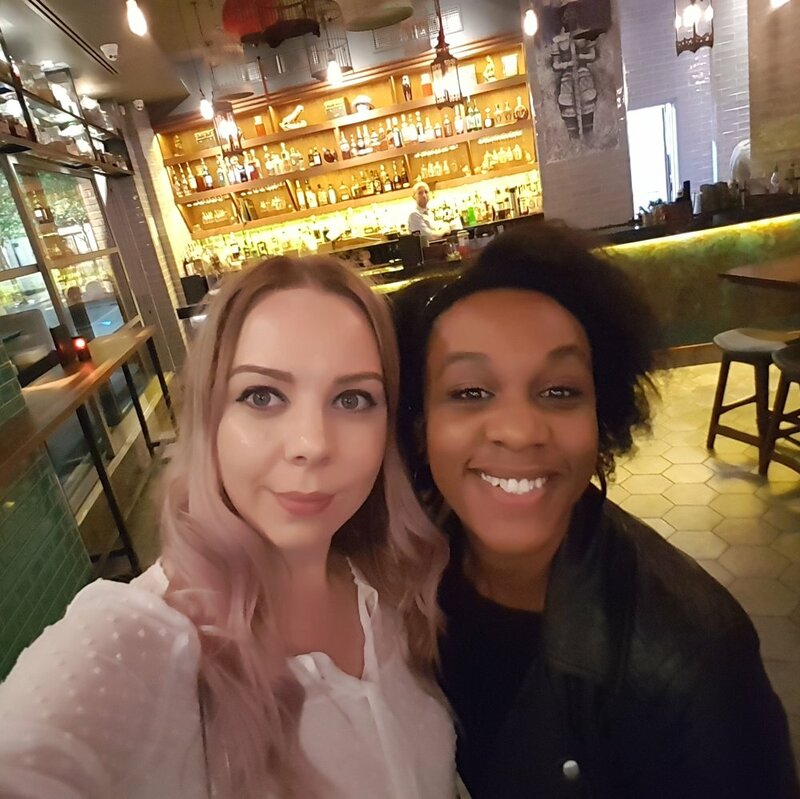 During the summer of 2016, Sian was chosen to be a guest blogger for Resorts World Birmingham where she got to review the hotel, spa and resturants. CULT LND invite Sian Victoria and a bunch of friends to takeover the Chiquitos Instagram stories for a #FestiveFiesta to promote their Christmas sharing platters. Spark44 and industry experts chose Sian as the 'Digital Communications student of the year' for creating 'Thumbs up Digital'. On the 19th October 2010, Sian became self-employed by creating 'Sian Victoria Boutique' a vintage shop and 'Sian Victoria' a fashion blog after gaining triple distinctions in Business at college. For the year of culinary experiences Sian goes to Barbados and stays at the Ocean Two Resort & Residences. Doubletree by Hilton in Chester invited Sian for an overnight stay with pampering and fine dining. Byrdie ask Sian about her two favourite beauty treatments to get in Birmingham, she recommends Santai Spa and Beyond Beauty Clinic. Sascha Jackson the Lead Pro makeup Artist for Stila cosmetics gives Sian a makeover in Selfridges using Stila's new foundation and Primer. 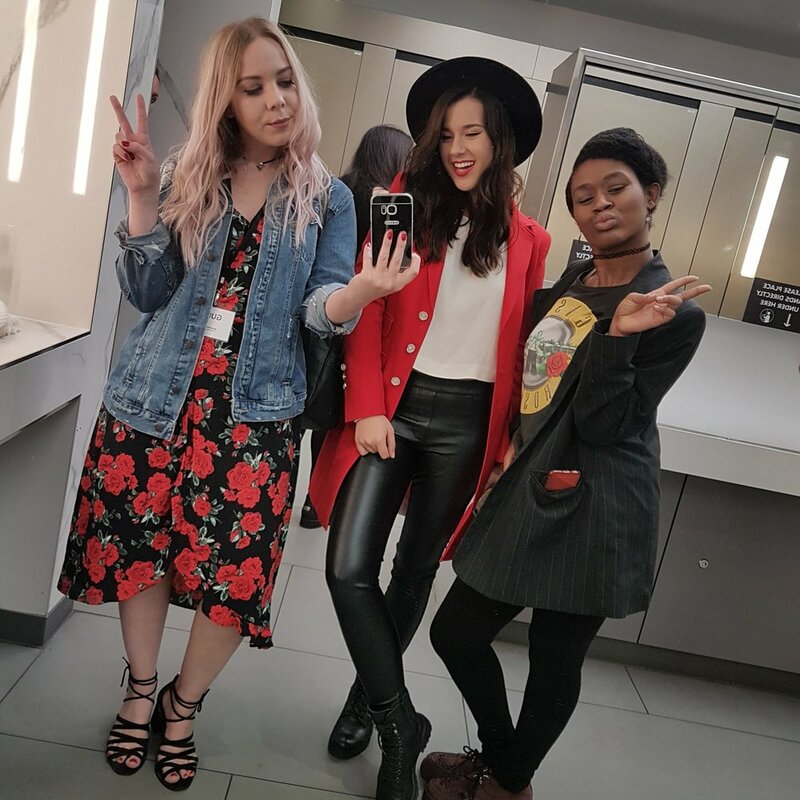 Sian joined influensterUK and contributed to the stay matte lipstick campaign with Rimmel for a series of Instagram posts. Sian was nominated for a best travel blogger award in the 2016 Blog Awards after sharing her adventures in Vegas, China, Santorini, California and Ibiza. Sian attends her second menu launch at Cafe Rouge with fellow Birmingham food bloggers. Sian gets to experience a HD brow service for the first time at the new Benito Brow Bar in Debenhams. To celebrate 10 years and 50 issues of Style Birmingham Magazine, Sian was invited for an evening of fizz at The Cube. British Military Fitness invited Sian to get fit in the lead up to the Major Series by completing a 5k mud run obstacle course. To promote the new range of Burts Bees lipsticks, FUSE invited Sian to do a meet & greet with followers in the Bullring, Birmingham. Sian volunteered at SAWA for two weeks. It was a personal trip for something Sian feels very strongly for and to help create awareness. Brazen PR invited Sian to the launch of the new Invisalign clinic in Birmingham. Actor Ray Quinn and Dr. Sandeep Kumar were among those who attended. Sian Victoria joins sportswear brand New Balance and YogaSweat for an outdoor yoga session for Resorts World Birmingham's summer of sport campaign. For two weeks Sian studied Chinese art & culture at Sihuan University in Chengdu. She also explored temples, visited pandas and hiked Mount QuingCheng. Sian features in a street style fashion video filmed on the streets of Birmingham by Graziosa wearing a Topshop trench and ASOS heeled sandals. During a fortnight in Catalonia Spain, Sian hiked the Montserrat Mountain and visited the monastery. Sian sells 70's-90's vintage dresses, tie dye tops and studded shorts for customers worldwide on ASOS Marketplace and eBay. Sian and family enjoy a three course meal in the stunning dinning room at Hoar Cross Hall to celebrate Mothers Day. Sian was nominated for a 'Birmingham's best blogger' award after blogging in Birmingham for seven years. To celebrate graduating with a first class honours degree, Sian takes family to the newly opended Laura Ashley tea room to enjoy a spot of afternoon tea. Sian and local press attended the Fenty Beauty launch at Harvey Nichols Birmingham and received a Fenty makeover. Sian and Mellissa were put on a blind date to review the new Thia resturant in Birmingham called Siamais, they enjoyed three courses and two cocktails. 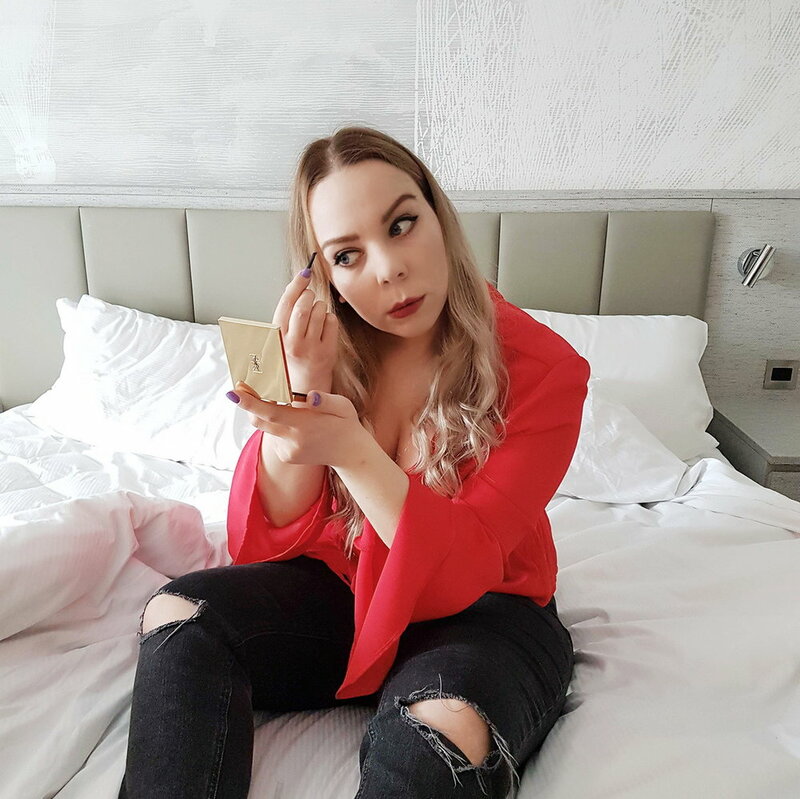 Estee Lauder invite Sian to try out the YouCam Makeup virtual try-on app for the #LoveLipRemix campaign. Beauty bloggers got treated to makeovers, fizz, hand massarges and a shopping spree at World Duty Free for #JetSetTour. To celebrate Resorts World Birmingham's first birthday, Sian was invited to enjoy a cocktail master class at the Sky Bar. Birmingham Airport filmed Sian Victoria and Ally in Blunderland going head-to-head in a shopping challenge. CULT LDN invite Sian and friends to take over the Coast to Coast resturants Instagram stories to promote a special food & drink offer. During Sian's second visit to Las Vegas she finally ticked off skydiving and the Red Rock Canyon on her never ending bucket list. Katchthis invited Sian Victoria to London Fashion Week to see the SS16 collection for fashion designer Teresita Orillac's debut 'Into the Jungle'. Sian Victoria, The Ting Thing and other Birmingham food Bloggers tweet to eat at Ana Rocha Bar and trend locally on twitter. Sian's ticks off the Hoover Dam, Seligman the Birthplace of Route 66, the Grand Canyon, Santa Monica, Hollywood and Beverly Hills from her bucket list. Graziosa filmed a Spring look book video in the Botanist cocktail bar in Birmingham featuring Sian and her friend Anna. The Belgrade theatre in Coventry invite Sian to the opening show of Cougar the Musical. 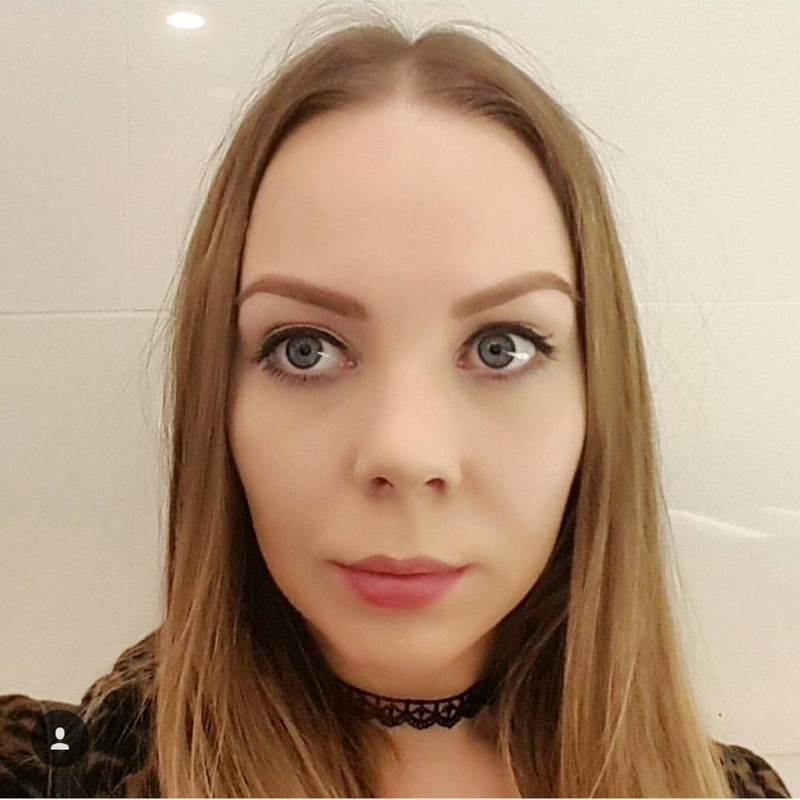 To persue her love for all things digital, Sian starts a degree in Marketing, Advertising & PR at BCU while blogging part time.